I’m making more of a concerted effort to get into walking lately and luckily, have friends who live in Burwardsley, Cheshire and who know and love the surrounding area. A few days ago we set off from the Candle Factory in Burwardsley, heading along a circulatory route which took in Bulkeley Hill Wood with its fabulous views across the Cheshire countryside. 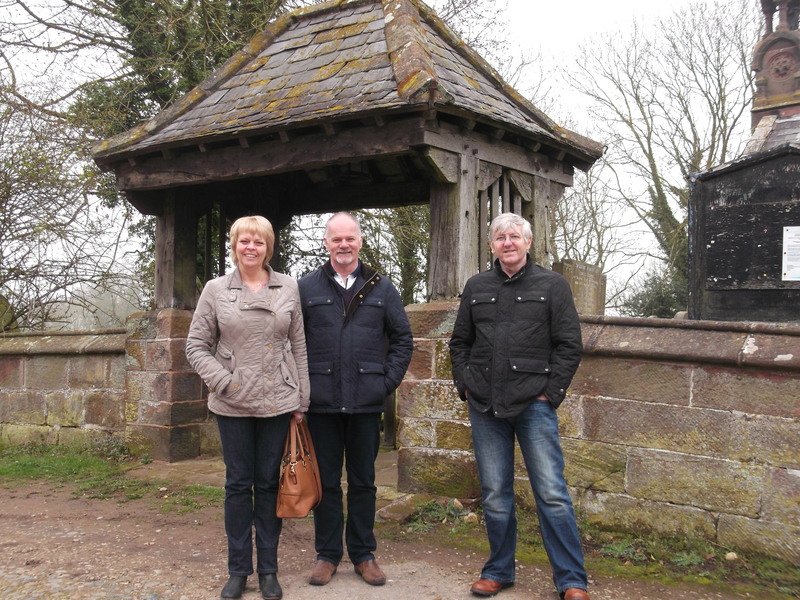 The route crosses farm land, as well as woodland, and is part of the Peckforton Hill range on the Sandstone trail. It’s not too hilly, although there are one or two places where you need to keep your eyes on the ground because of tree roots. The woodland is absolutely stunning! As you reach Burwardsley, there is this beautiful cottage garden which has immaculately manicured trees. It did give me a bit of garden envy. 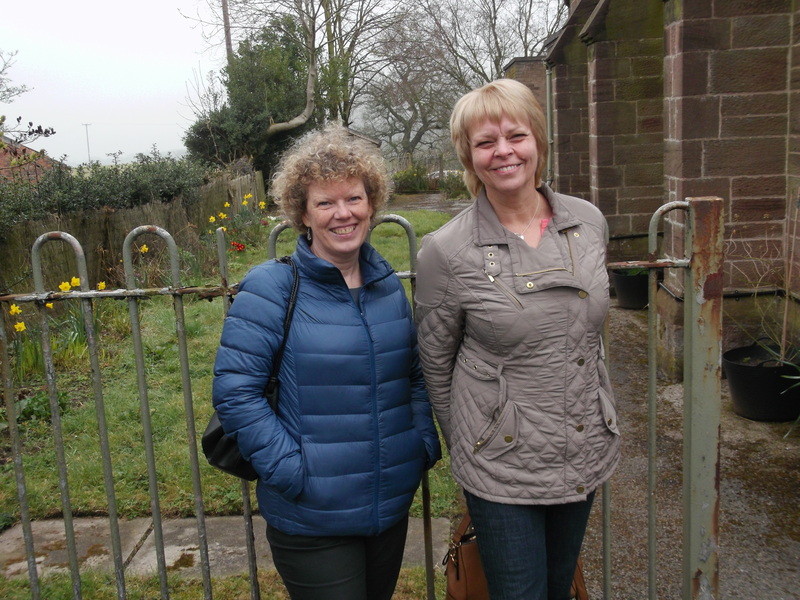 We popped into Burwardsley Parish Church on the way back as the graveyard has lots of Steve’s family name ‘Dodd’ which was very common in the Cheshire farming community. Our final pitstop was the Candle Factory. Great views and a nice cuppa. What more could you want! Breadmaking Demo? Count me in! 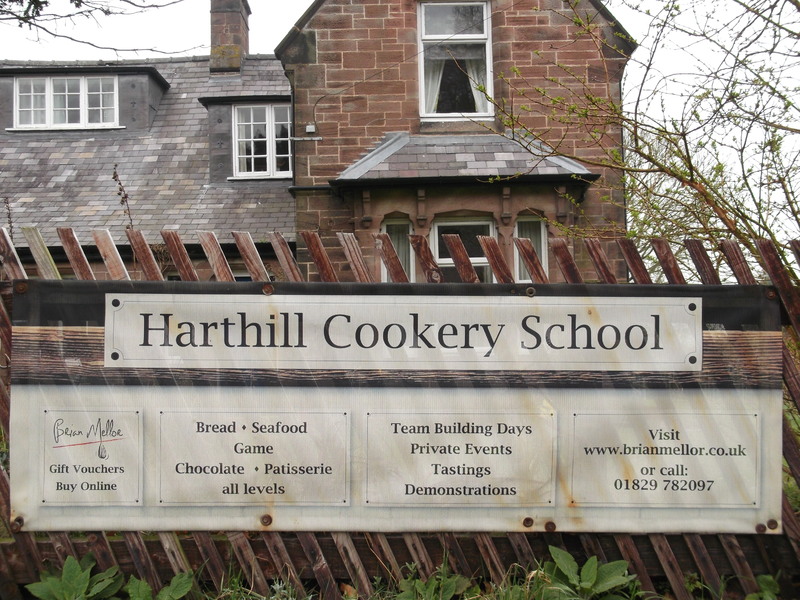 It was a rather unpromising start to the Harthill Cookery School Open Day. 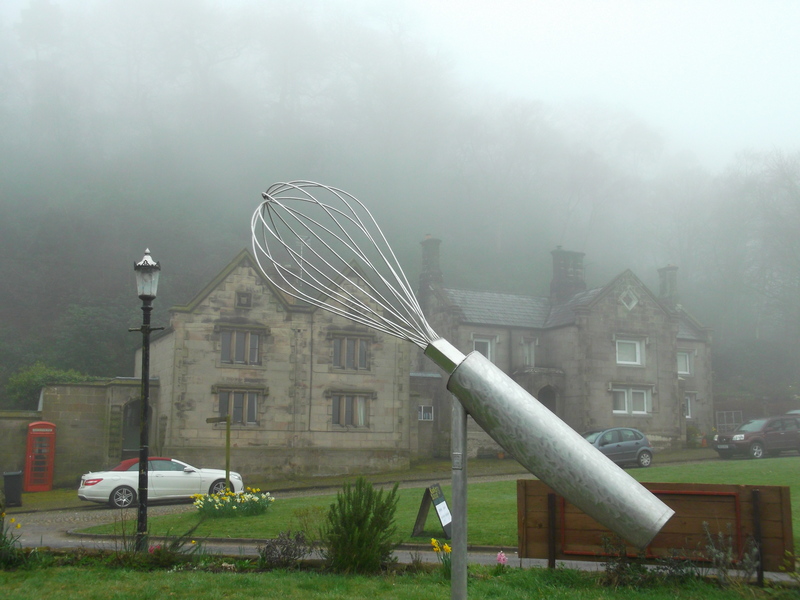 The mist hung low over Harthill, near Burwardsley, on the Sandstone trail in Cheshire and it was pretty chilly to say the least. Chef Brian Mellor was opening his cookery school for the day so that visitors could have a taste of what goes on there, as well as having the opportunity to taste and buy some local produce. There were lots of activities planned over the day, including a bread making demo. My attempts at bread making have been disappointing, well actually they’ve been dire. You could club someone to death with the loaves I’ve made. I was very keen therefore to get some tips on how to do it properly. It looked surprisingly easy in the hands of Brian and his little audience helper and I could see almost immediately where I’ve been going wrong. Patience is required when kneading and my patience is often in short supply! I loved the ambiance of the school hall, which until a few years back belonged to the village school. My friend Linda and I have made a pact to sign up for some lessons later this year! There are so many to choose from but we’re thinking either the introduction to Indian cuisine, or classic British puds, or maybe both! A bonus on the day was that the local church was open for people to look round. It’s a beautiful old church which has been out of use for a few years and now there’s talk of making it a heritage centre for the Sandstone Trail. This is Linda, Shaun and Steve at the church. 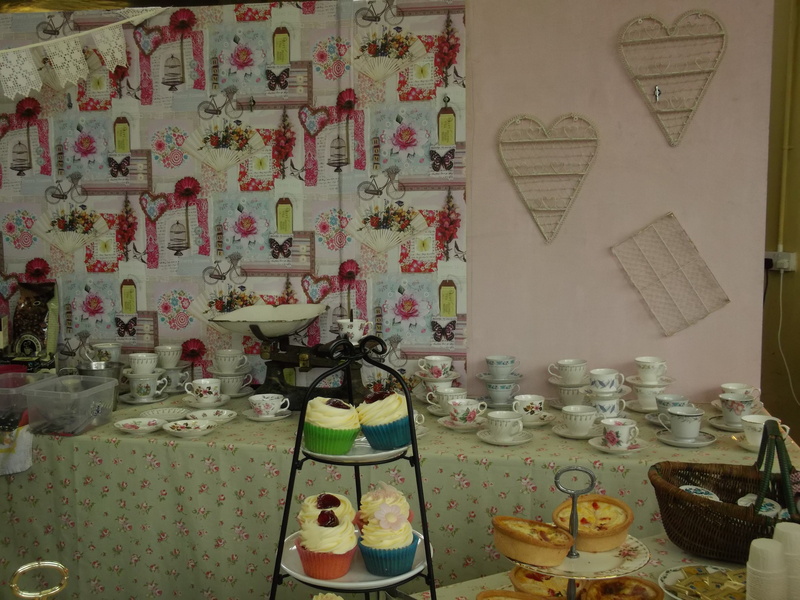 Next on our agenda was tea and cake at the fabulous onsite pop up vintage café. Loved the retro look and the mismatched china. As it was so cold, we headed home before the BBQ and band, but not before we’d bought locally produced honey, jam and pies from some of the lovely stallholders that were there for the day. Can’t wait to report on my upcoming cookery lessons! Readers of my blog will know that I’m mad about aromatherapy. 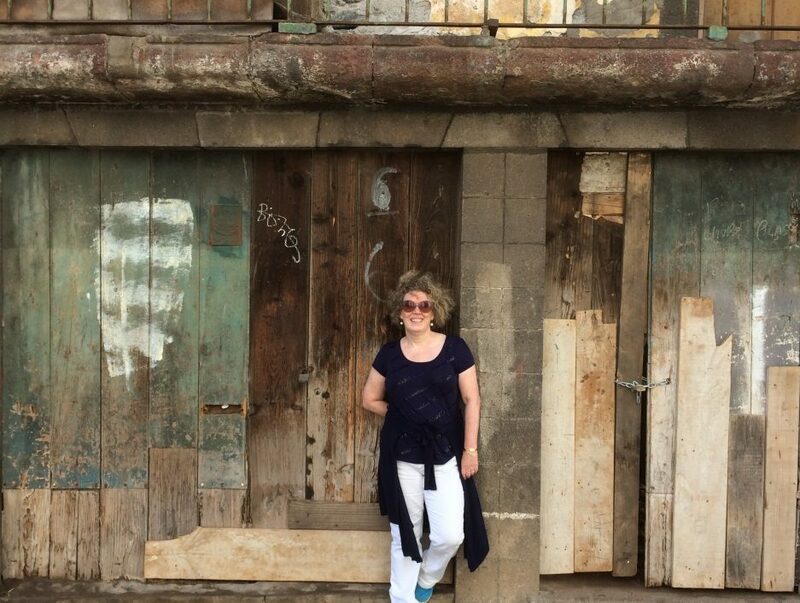 But did you know that my love for it extends well beyond the essential oils used in therapeutic and beauty blends? 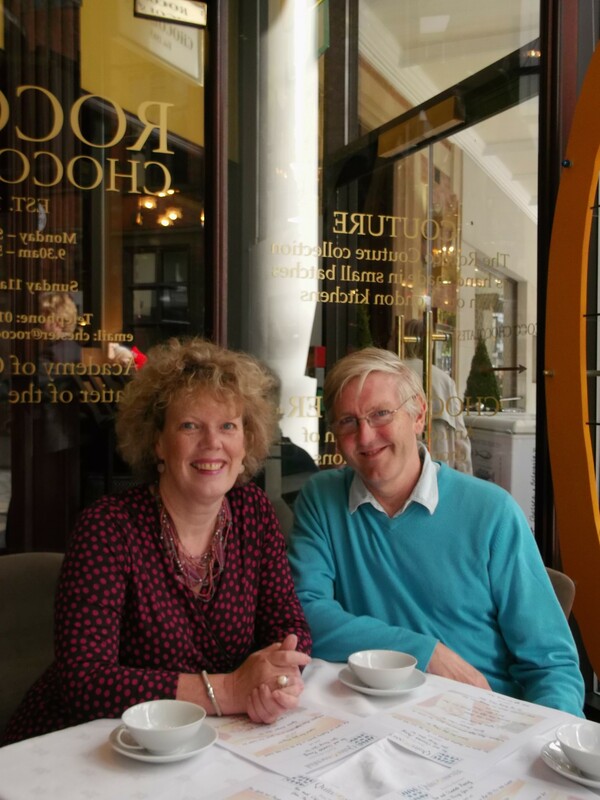 I went along to the most amazing tea and chocolate sensory experience at Rococo, the lovely artisan chocolate shop based in The Chester Grosvenor Hotel. It was jointly hosted by Rococo, and Quinteassential, a small independent tea boutique based in Cheshire. Tea and chocolate! Two of my favourite things! 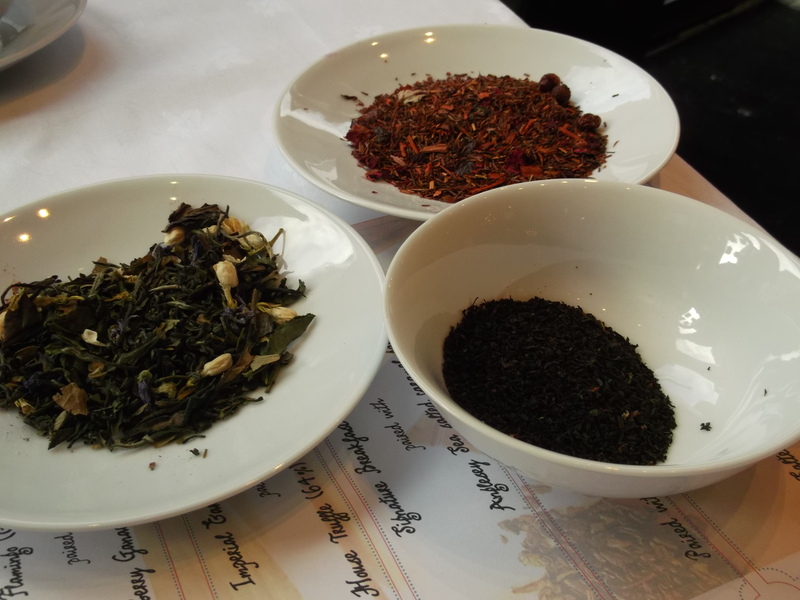 We were treated to a selection of tea blends paired with perfectly matched chocolate and were guided through the tasting by tea and chocolate experts. 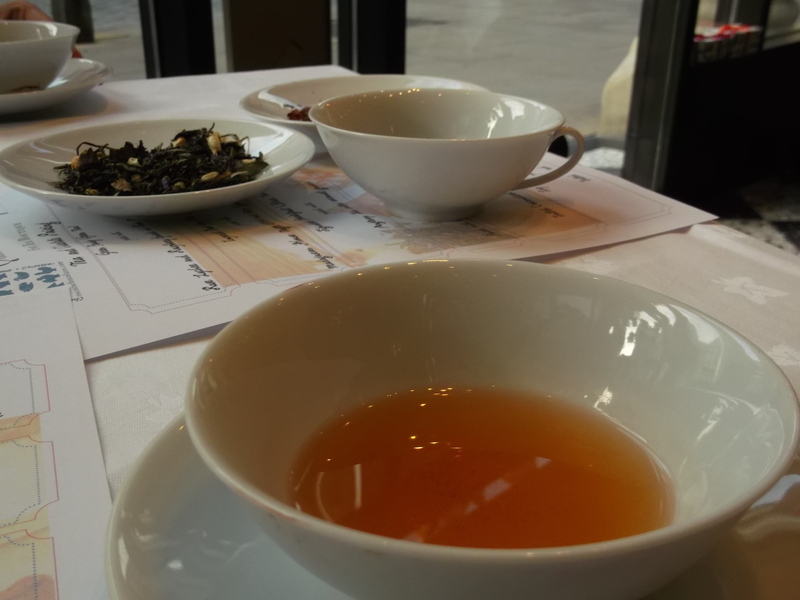 We explored which flavours and aromas worked well together, as well as learning the appropriate way to prepare tea. My personal favourite was the beautifully floral Imperial Earl Grey. You can really identify the vanilla flavour in this tea. I took some home to enjoy whilst sitting in the garden. I also loved the pairing of Quinteassential’s Signature Breakfast blend with Rococo’s Anglesey Sea Salt Caramel Ganache: heaven! What I really took away from this though, was an appreciation of the art of tea blending. It really is so similar to essential oil blending, as you have to achieve the perfect balance of teas, or indeed, oils, to get the desired effect.